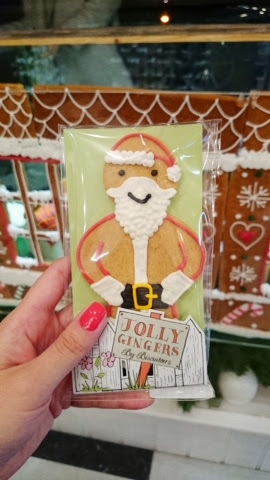 Earlier this week I attended the Biscuiteers* Christmas Launch held at their beautiful Boutique in Kensington Park Road in London. I popped along after work with my friend. 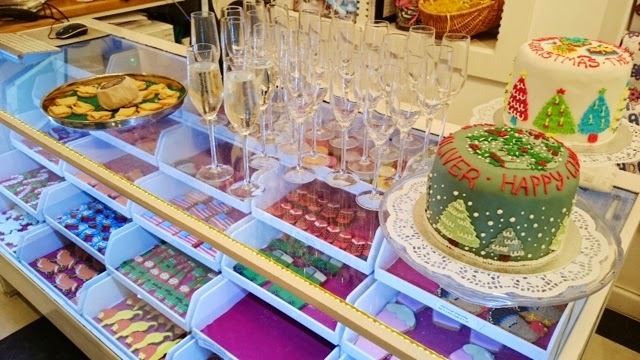 On arrival the Biscuiteers team greeted us with a glass of champagne and introduced us to the various Christmas items available. 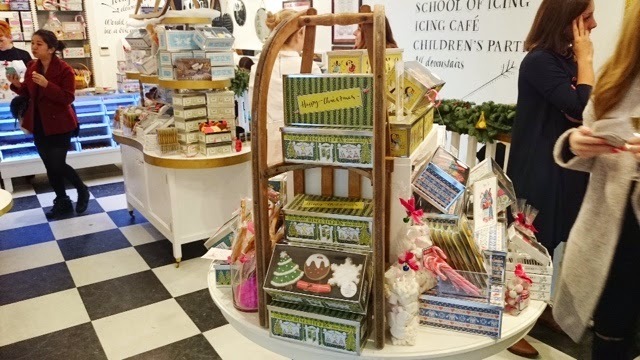 The store was beautifully laid out and everything just looks SO pretty and it was the sort of shop where you just want to buy everything! After looking at all the biscuits available we made our way downstairs (still holding onto our champagne!) to the icing work shop. This was where all the fun begins, we get to ice our own Christmas tree decorations...how cool is that!!! This was the part that got us both very excited indeed. Icing is really difficult and the staff there who demo a sample made it look super easy to do. 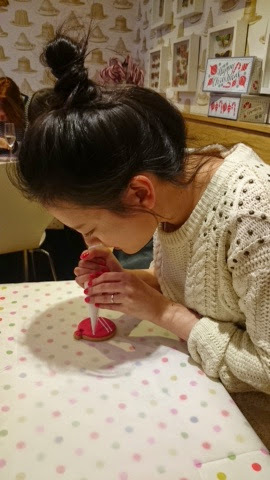 We must have spent a good 45 minutes doing this and we each took home 4 super cute tree decorations. Unfortunately we couldn't stay long, I had woken up at 5.30am that morning so I was exhausted and needed to catch a long train back home. 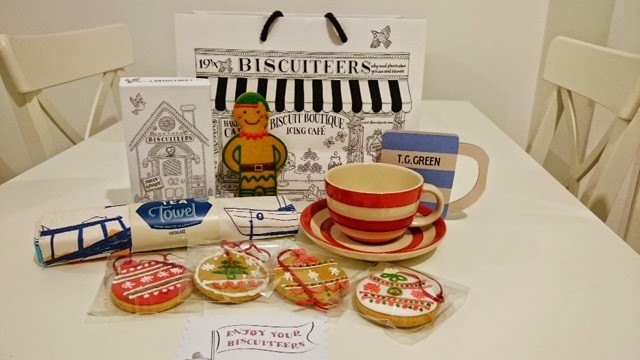 Biscuiteers have a fab online store where you can purchase all the biscuits and they even offer next day UK delivery OR worldwide!!! 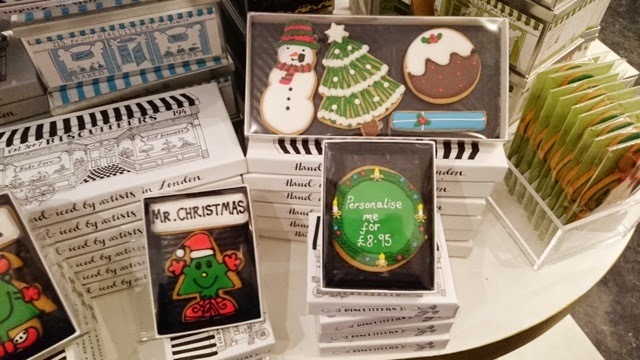 These biscuits are amazing all year round gifts what ever the occasion, if you do happen to be in London you must pop into the boutique! I tried to take as many photos as I can so it sort of feels like you were with me on the night! This code only applies to the Christmas Collection link here. Oh wow. That looks like a lot of fun. 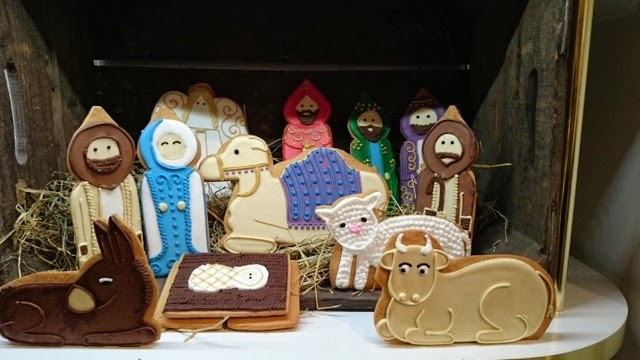 How cute are those cookies. I can't wait to start with christmas baking. Oh it was great fun! Kept us all entertained all night, would have iced a few more if I could but didn't want to be greedy! 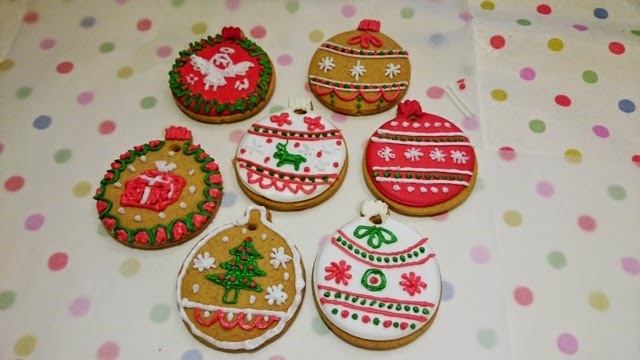 hehe Do tag me on twitter if you do some christmas baking, would love to see what you come up with! wow! those look amazing! you've just made me very hungry! 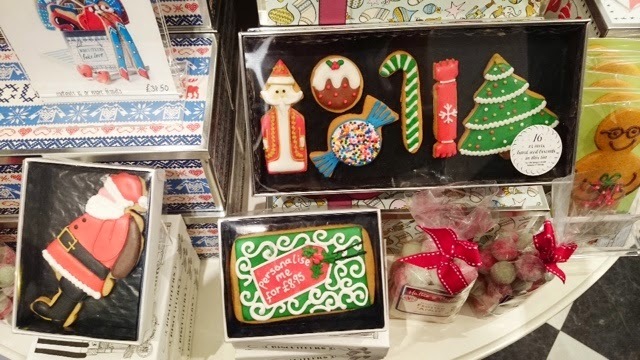 i can't wait to get christmas baking! 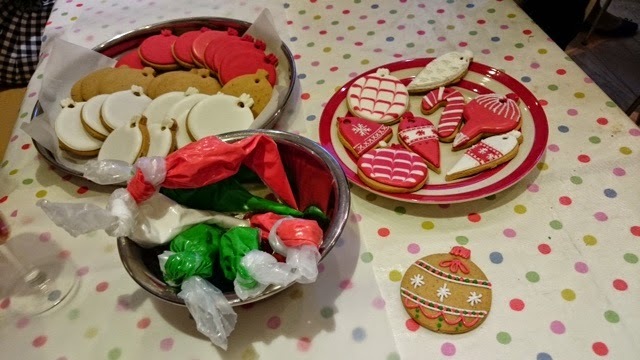 Everyone is excited about Christmas baking, there will be lots of fab posts to read from everyone! Thanks for stopping by Olivia. Thanks for your comment Olivia! 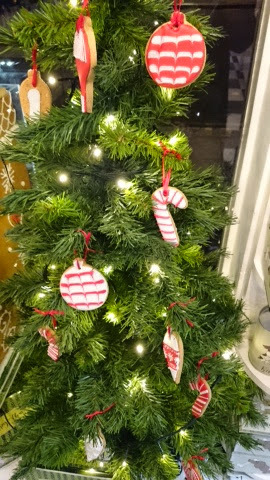 Yes def brought out the Christmas feel and the biscuits will be hanging on my tree this year...been told they will last! I know right! It's super easy for you to visit in London! this looks like it was so much fun! i'm so glad these are available worldwide, i may need to make an order soon! Yes available worldwide so everyone can enjoy them! Don't forget you can use the 15% discount code if you place an order before 7th Dec. I know...didn`t want to eat them! Thanks for stopping by Simone. Adorable!! I would be so rubbish at icing though! Once you get going it's not too bad but you do need steady hands! This is adorable! You did an amazing job with the tree decorations! Love them and the colours you used! so festive! Ah thank you! 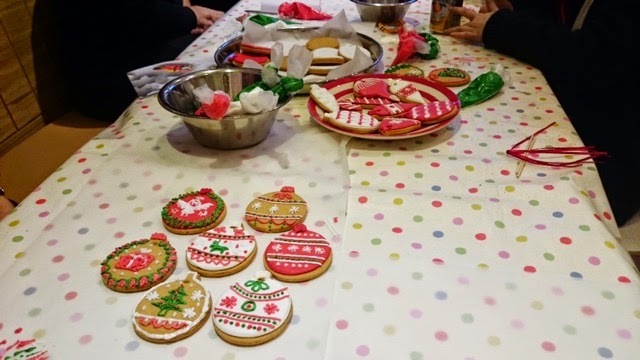 Yes definitely festive, look out for a new post very soon on their gingerbread house!